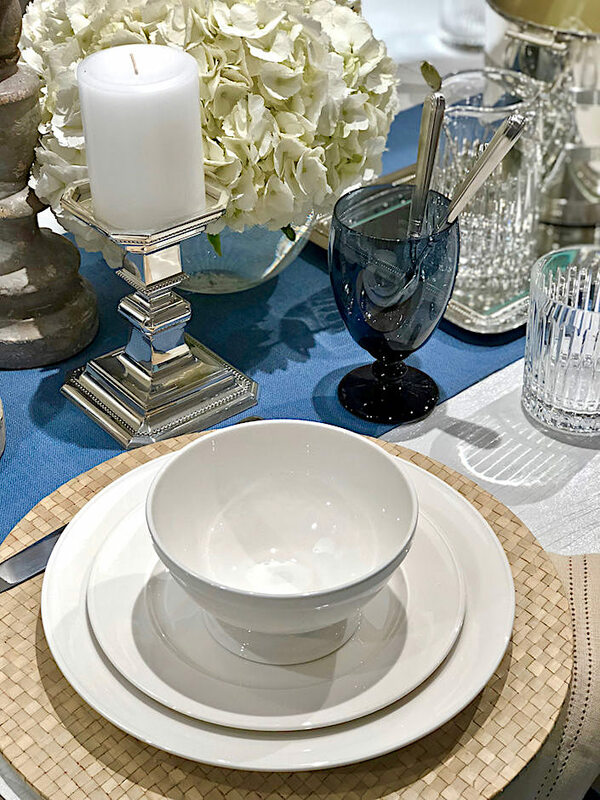 While the Lenox Hill gala has provided inspiration for warmer weather entertaining, the Spring 2018 Tabletop Market offers a glimpse of what will be available in the coming months as we start to think about entertaining later in the year. 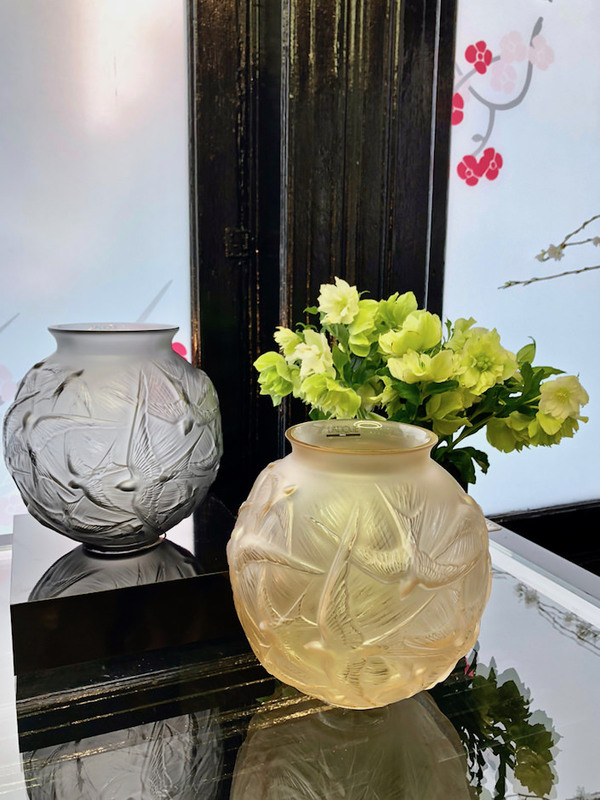 Market always starts for me at Lalique, where they are celebrating the 130th anniversary of the Maison. 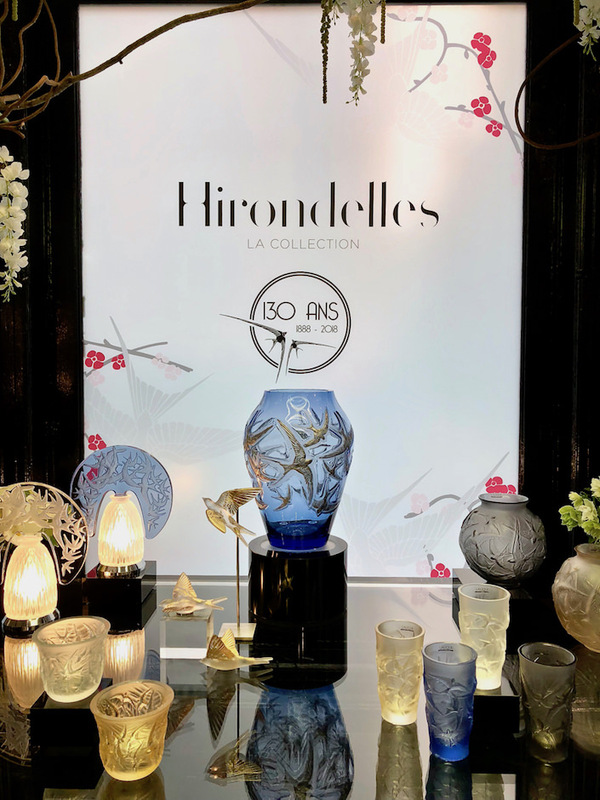 The latest collection, Hirondelles, honors the swallow, a harbinger of spring and a motif often referenced in Lalique’s work – the limited edition (130 pieces) vase below. 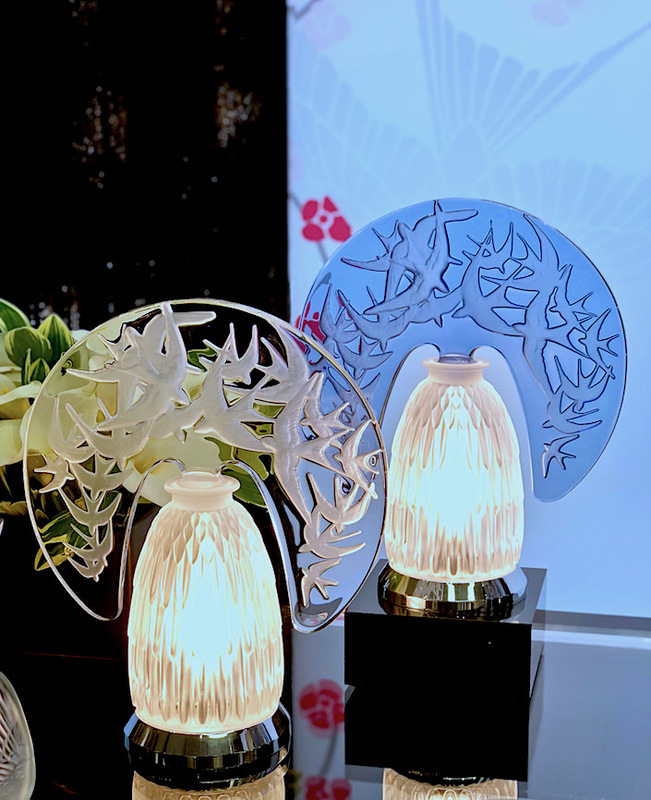 and small sculptures, which, with a clever double-sided magnetic attachment, can be used as a decorative element on walls, in floral arrangements etc. 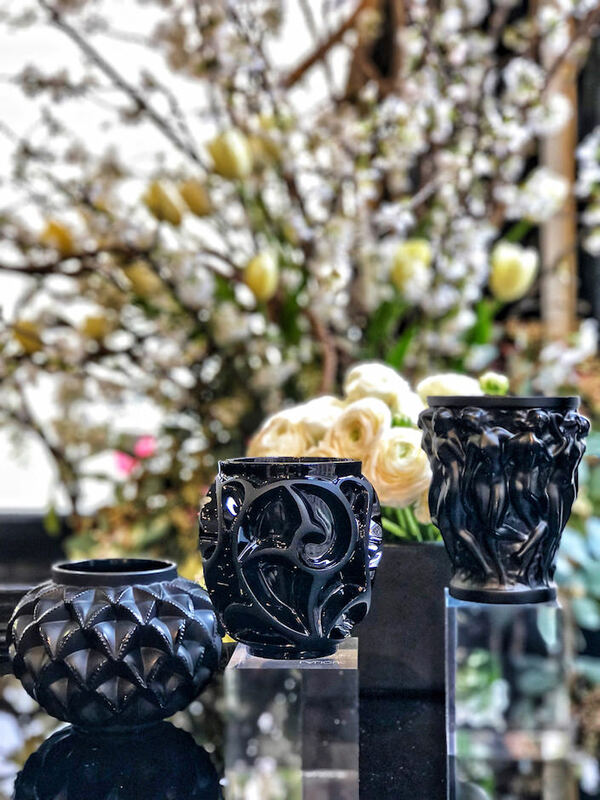 Some favorite new editions to the collection are these small black crystal vases – left to right, Languedoc, Tourbillons and the iconic Bacchantes. 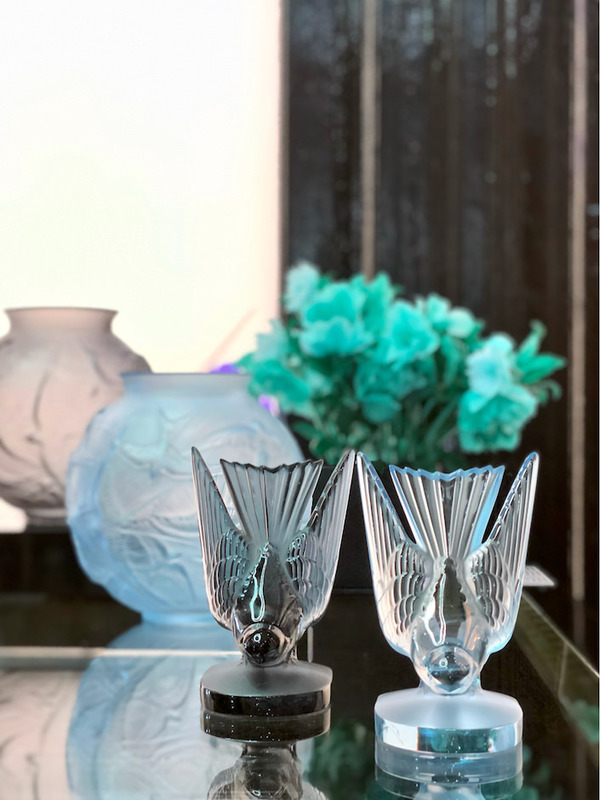 With the same exquisite Lalique craftsmanship, these smaller pieces are such a useful everyday size with approachable price points. 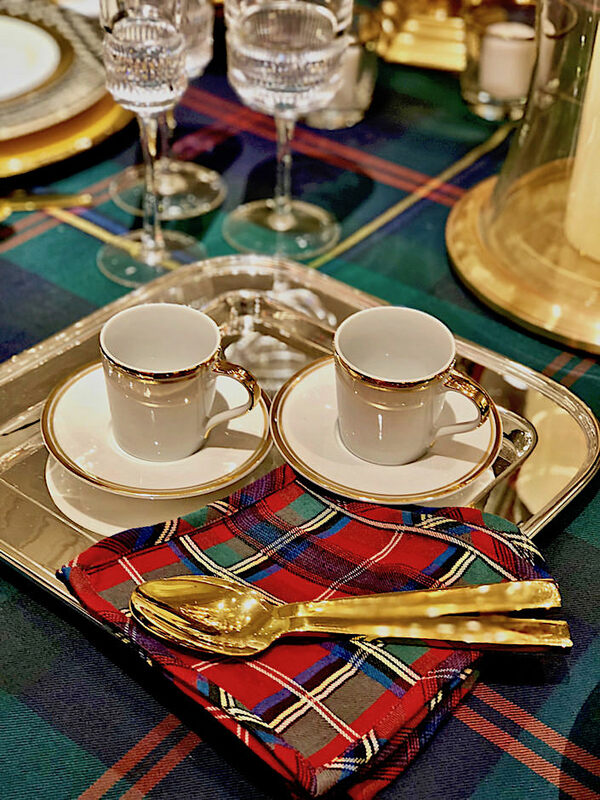 Ralph Lauren Home had a plethora of pretty introductions for entertaining, also great to remember for holiday gifting. 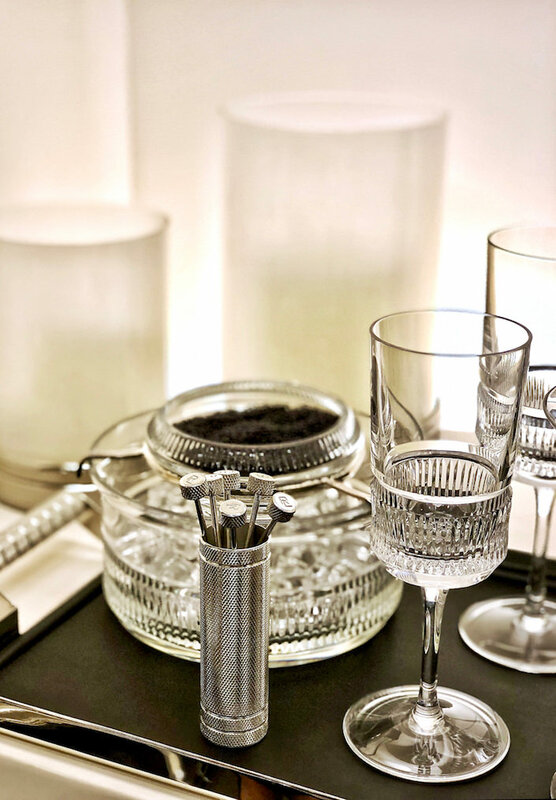 Below, Paxton Cocktail Picks, Holder and Rectangular Tray feature automotive-inspired knurled detailing, shown with their classic Broughton Crystal. 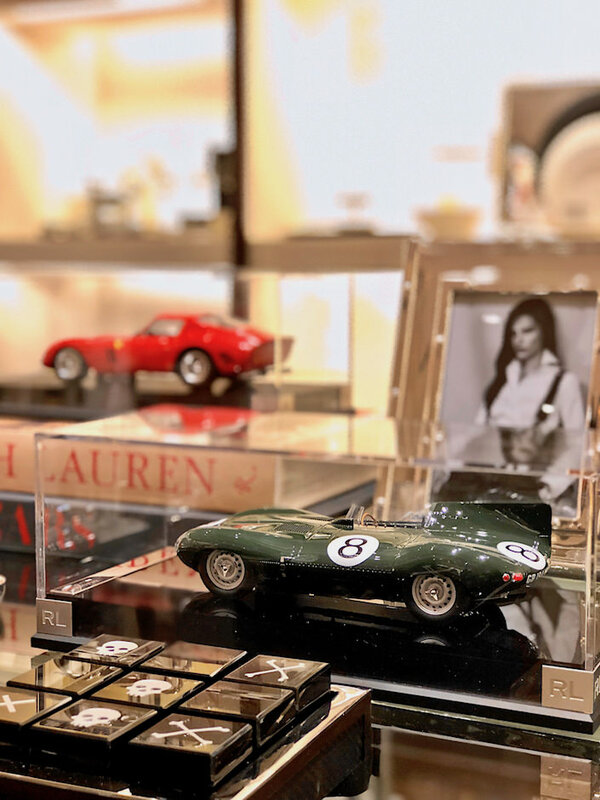 I’m sure many of you are familiar with Ralph Lauren’s legendary car collection and this season several of his roadsters are immortalized in 1:18 Scale Amalgam Model Cars. Below, an exact replica of his Jaguar XKD, developed in 1953 and famous for being the fastest race car of the 1950s. 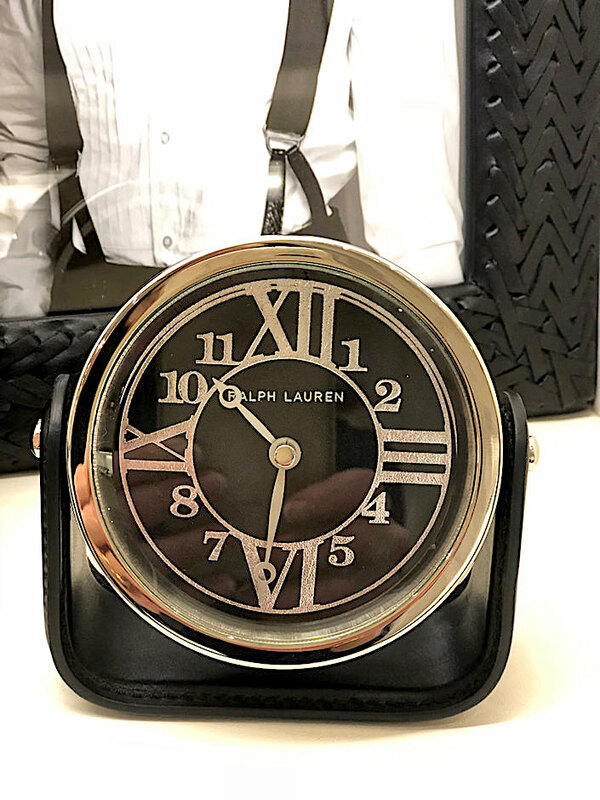 More offerings for the those hard to shop for men are the handsome Brennan Leather Catchall in black leather. 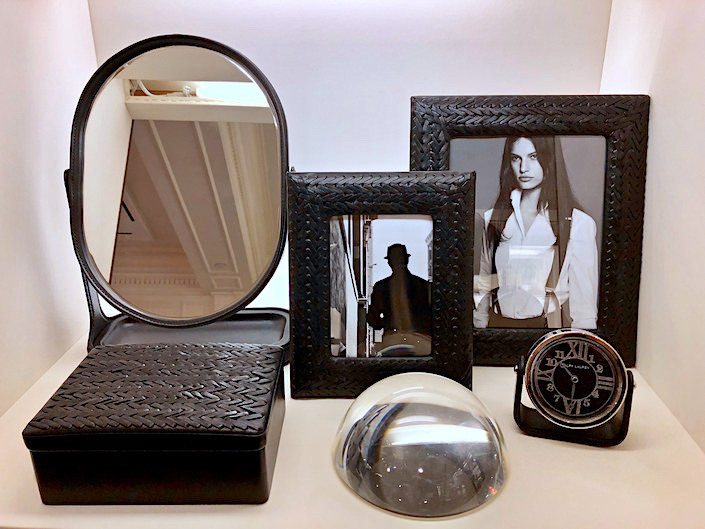 and the Brennan Clock in black leather, created in partnership with the Chelsea Clock Company. 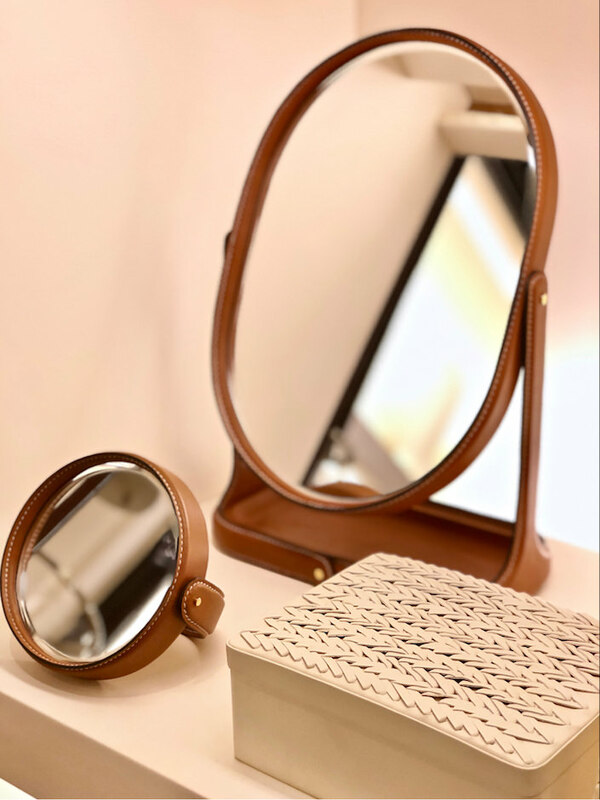 and the Adrienne woven leather accessories will come in an elegant cream. 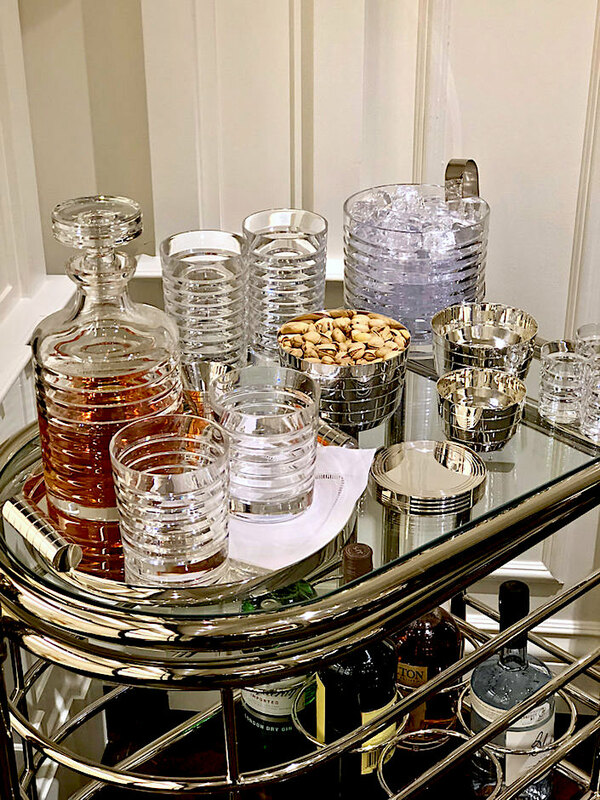 as well as the new Montgomery Nut Bowls and Medium Nesting Tray, shown with the classic Metropolis Crystal Barware, below. 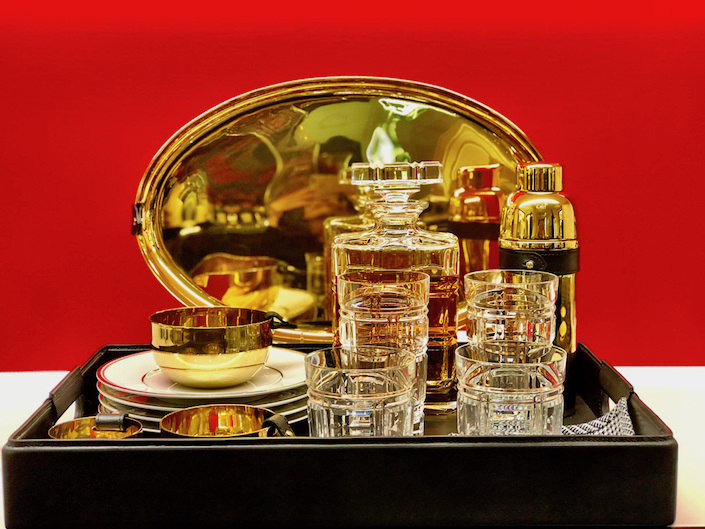 and the Holbrook Hurricane in Brass makes a statement with the Somerville Punch Bowl, in gold earthenware, crafted in Italy. 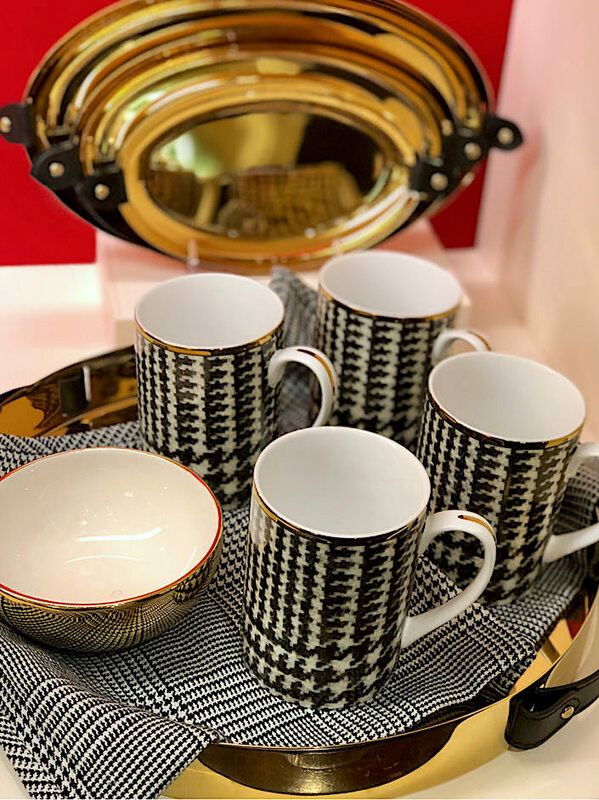 as are the new gold rimmed black and white Wessex porcelain mugs shown with their classic Glen plaid table linens of the same name. and in black leather with the Wessex glen plaid. 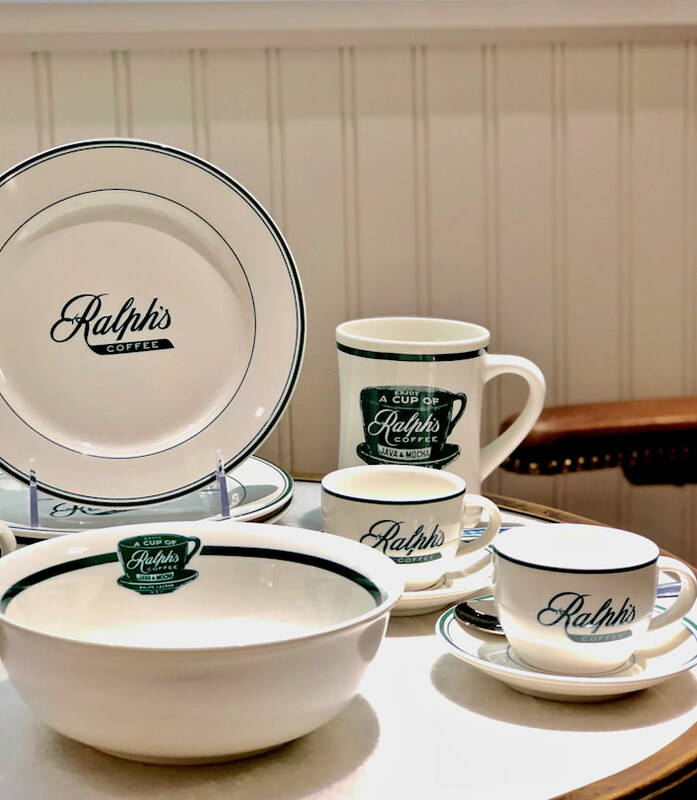 you can now bring home the classic stoneware collection! 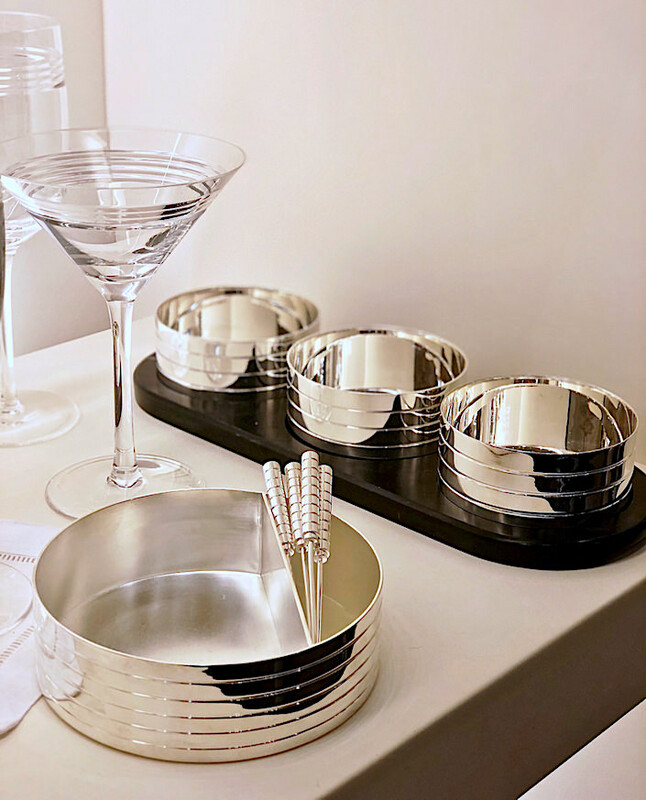 At Hermès, Nigel Peake‘s new dinnerware hit the spot. 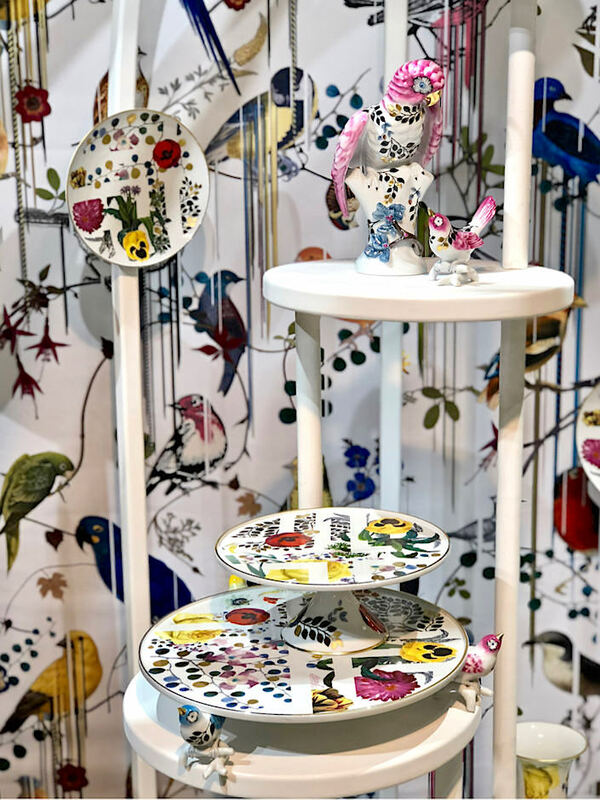 Aptly names “A Walk in the Garden,” it melds stylized flora imagery with the graphic geometry for which he is known. 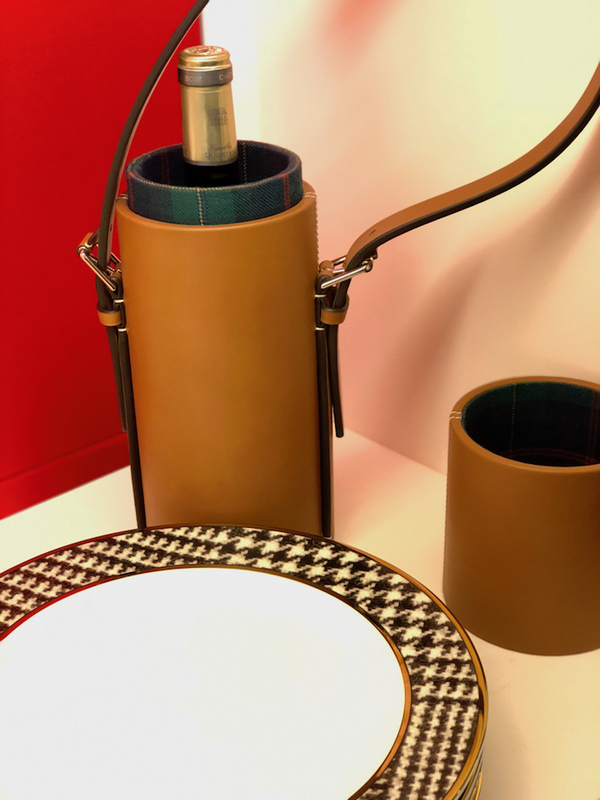 As with other recent Hermès settings, it’s all about the mix and match. 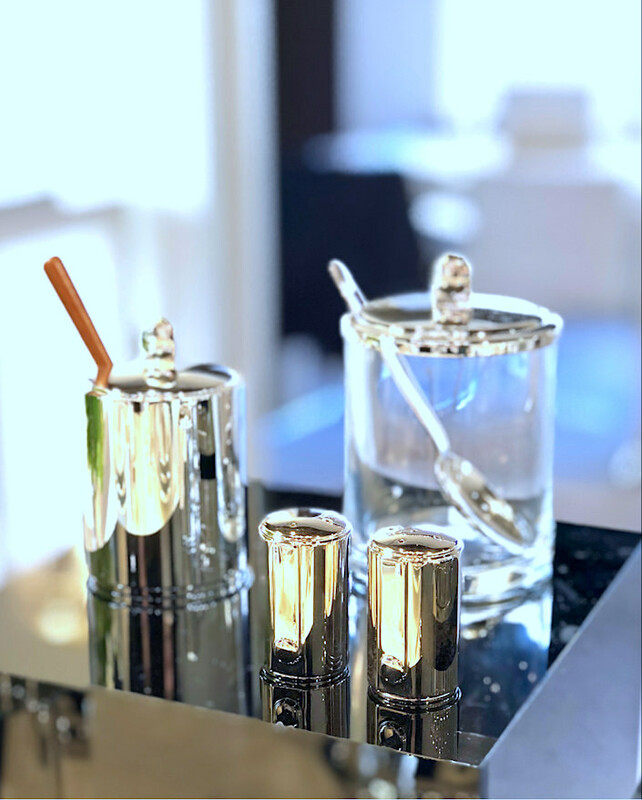 and new Puiforcat salt and peppers, as part of the Normandie collection, based on the original 1934 flatware for the iconic steamship. that is clearly appropriate for a variety of beautiful blooms. 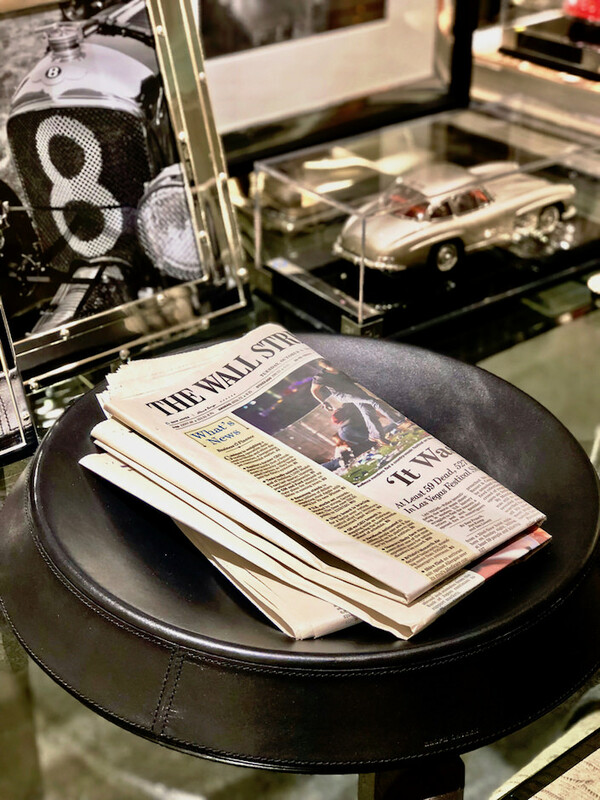 The L’Hotel No. 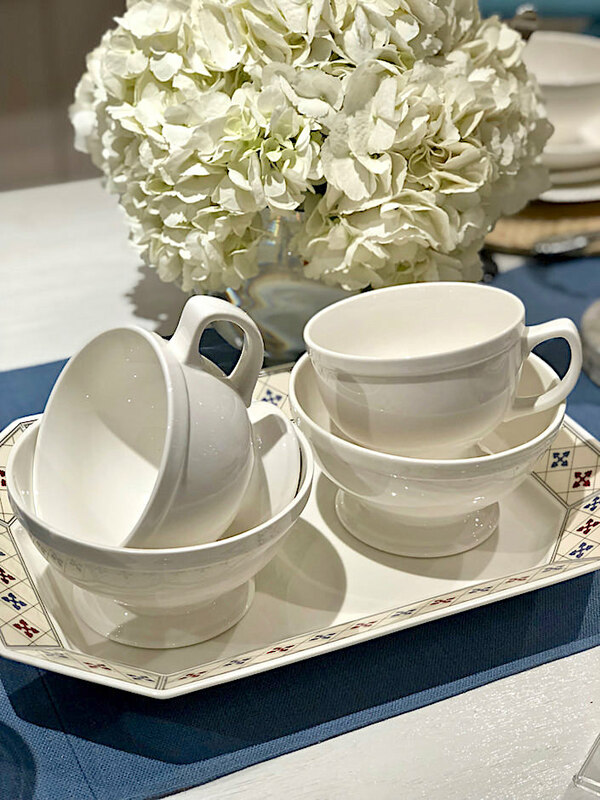 29 porcelain collection is an eminently mixable classic white design with just enough heft and delineation to set it apart, with a great new indigo goblet that is the perfect size for anything. 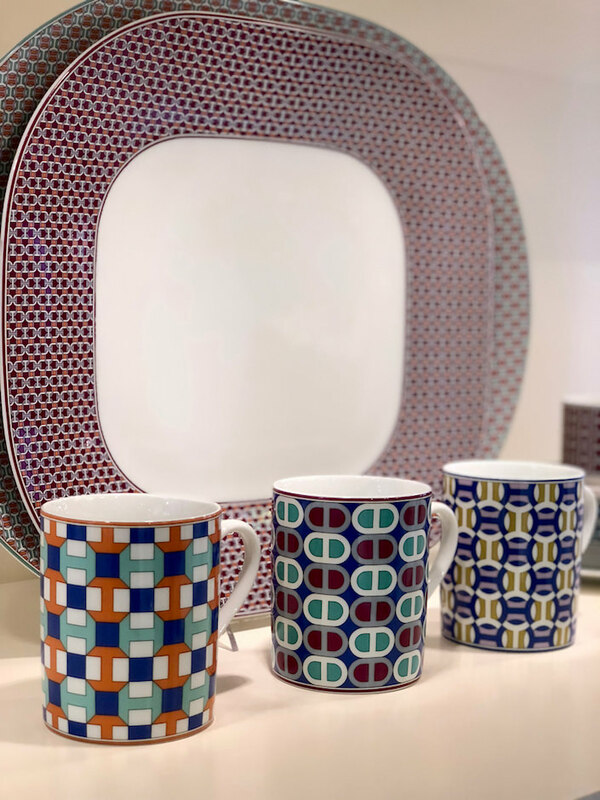 You can always count on Vista Alegre to infuse some surprise in their classic Portuguese porcelain line. 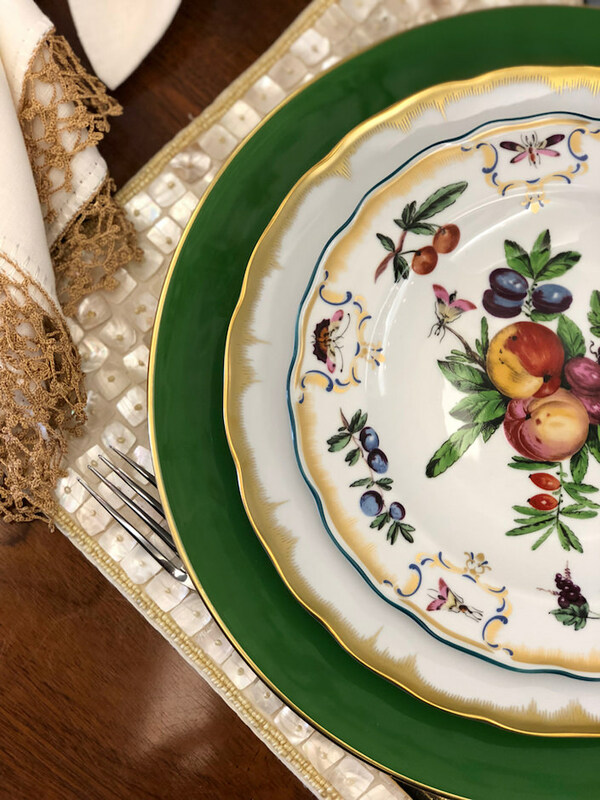 At 2018 Spring Tabletop Market, a favorite was Cannaregio, an ebulient porcelain collection inspired by the magic and mysticism of Venice. 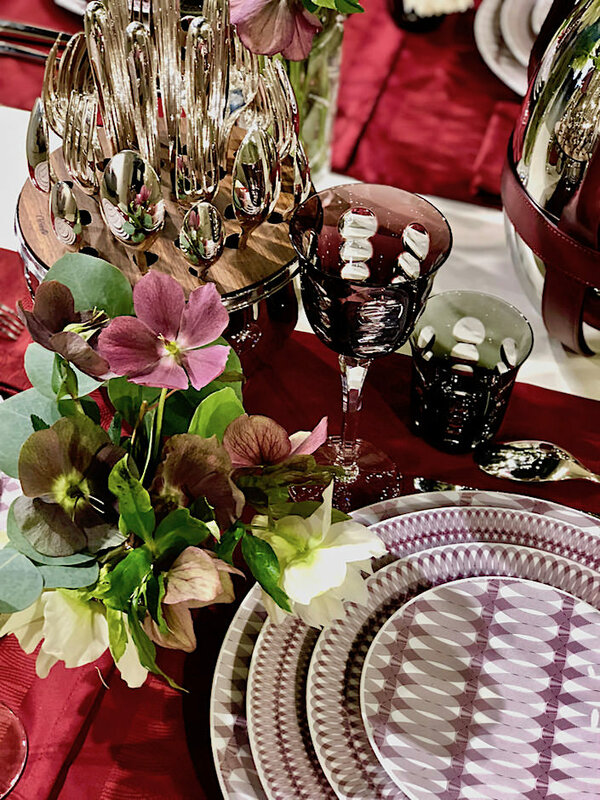 With a wide variety of pieces and patterns, it is easy to create a multitude of spirited table settings. 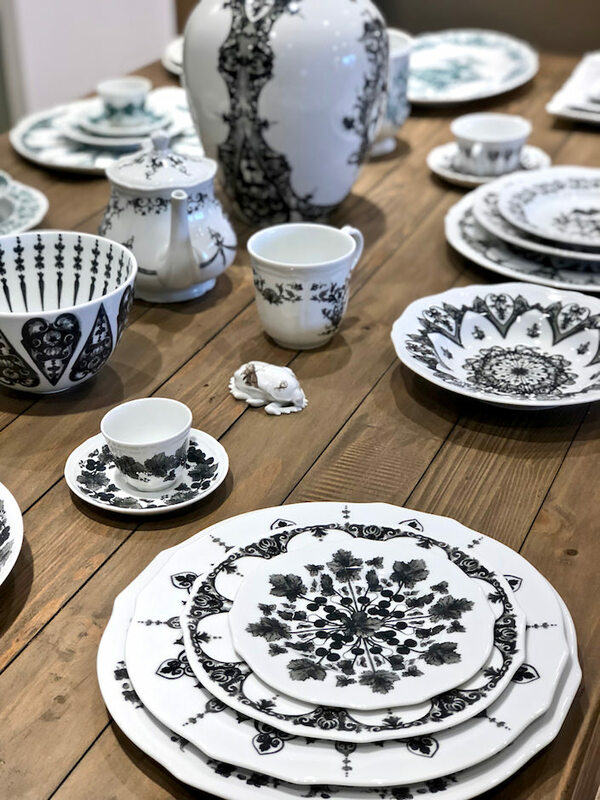 You may be familiar with Christian Lacroix’s various collaborations with the Portuguese manufacturer. 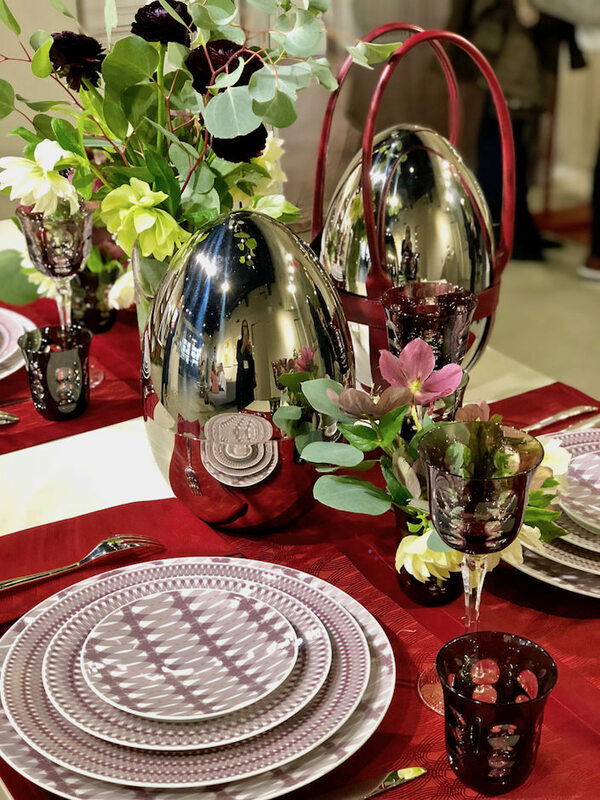 This season they joined forces to create Primavera, a collection of decorative and sculptural pieces inspired by a garden filled with flowing foliage and animated birdsong. 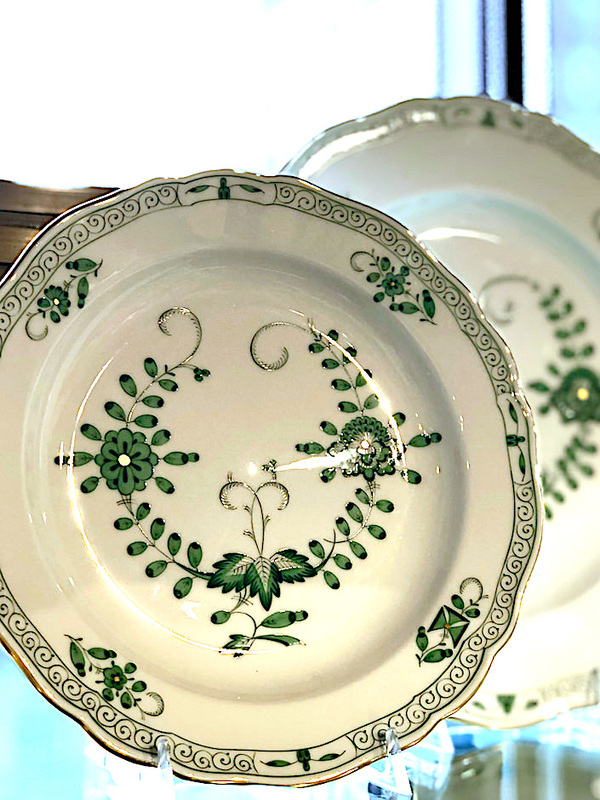 Sylvanae (Goddesses of the Forest), a new introduction from Mottahedeh, is an adaptation of a late 19th century Zsolnay design from the distinguished Hungarian manufacturer. 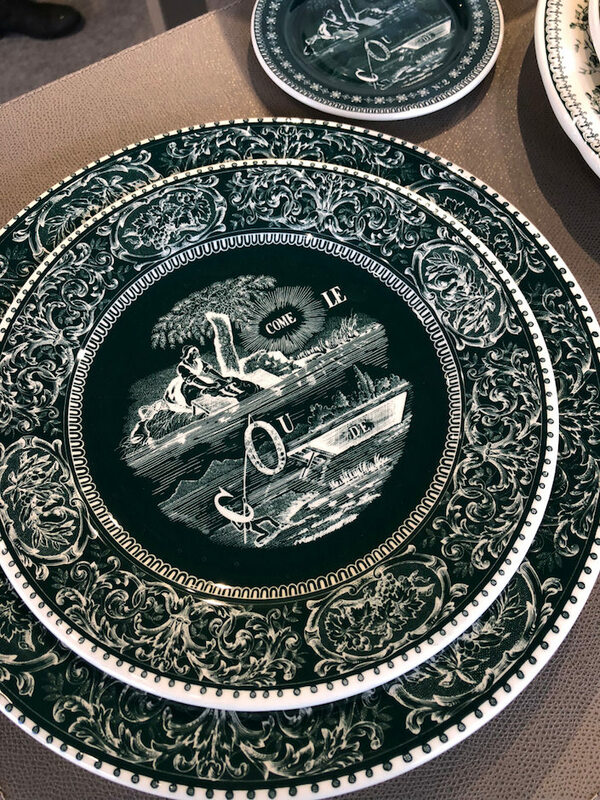 They have also very cleverly taken the rims from three of their iconic patterns for plates with just the edging. 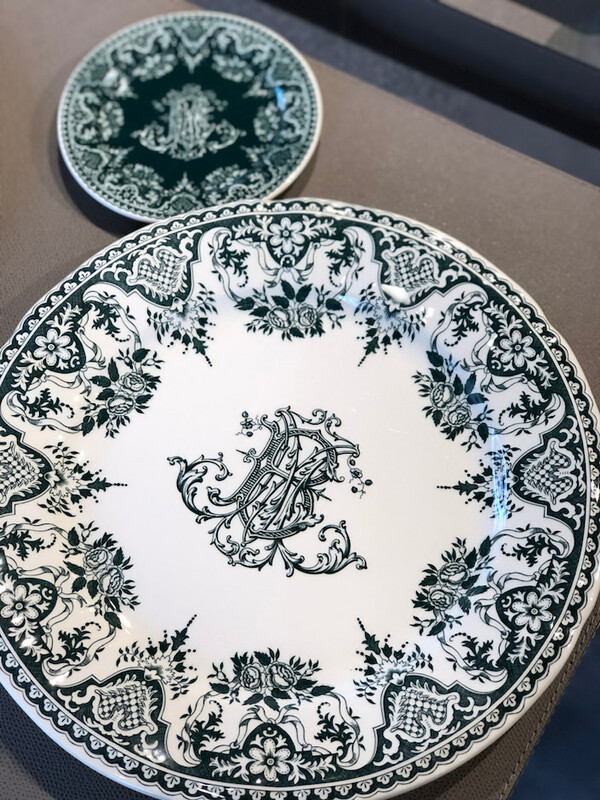 You can see the original Duke of Gloucester below, with the new Gold Feather Chelsea plate underneath. 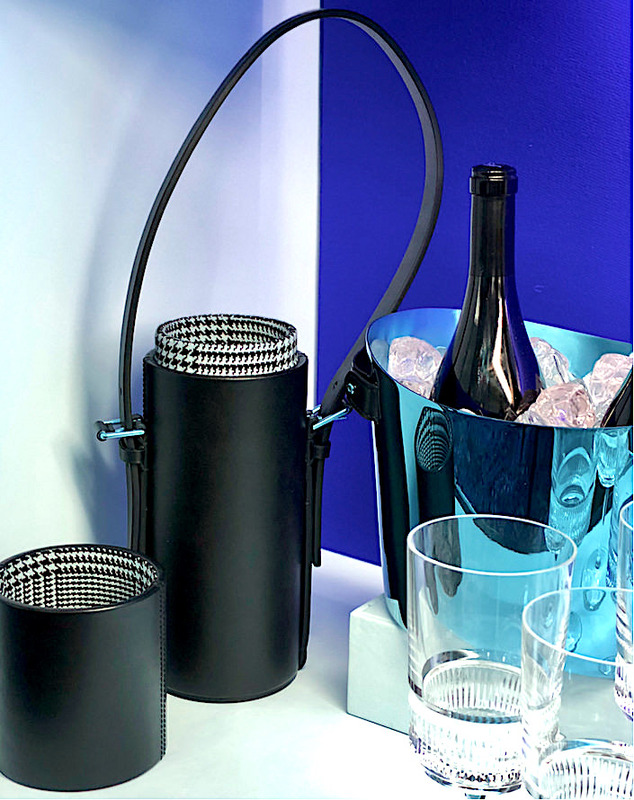 a new version of their brilliant MOOD silverware statement (closed above and open below) with a leather handle perfect for elegant picnicking! 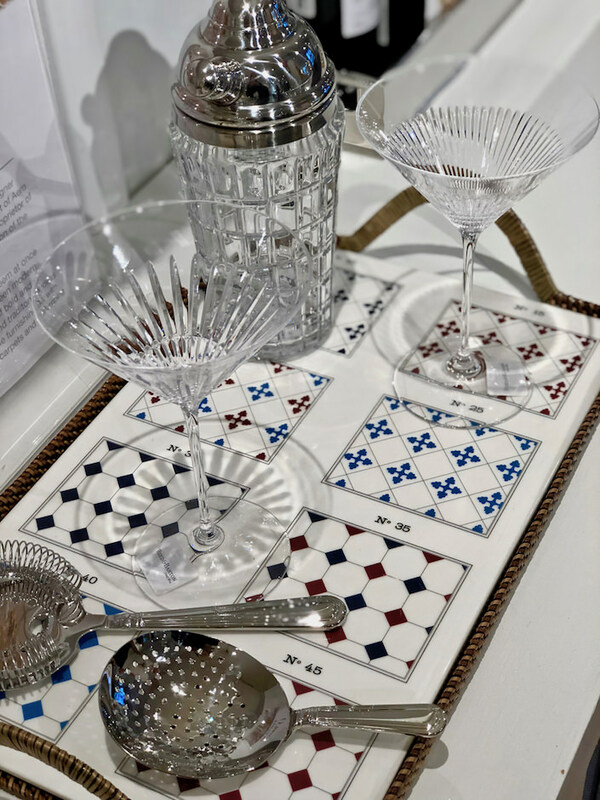 Historic French Faiencerie Gien introduced several new collections, my favorite of which was les Déparaeillées (mismatched). in shades of green and black. 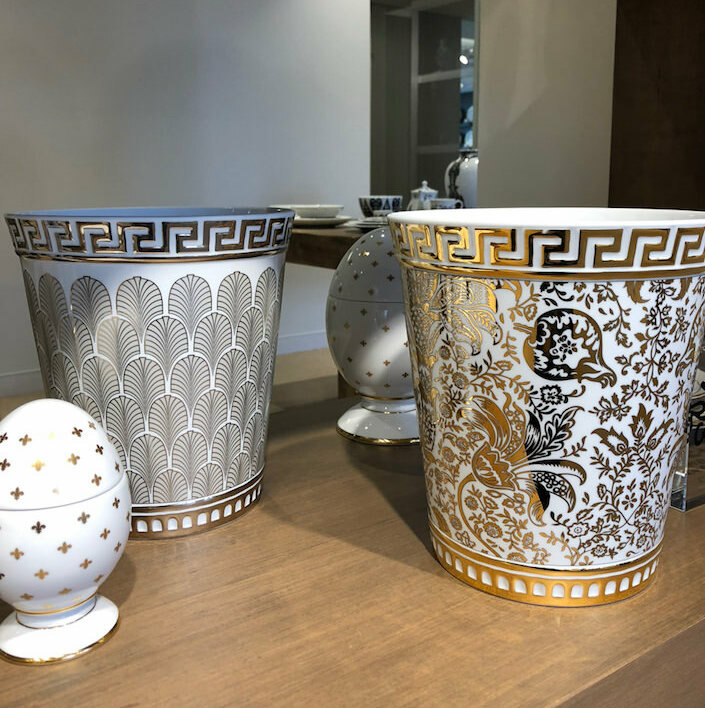 and two new decorative cachepots. 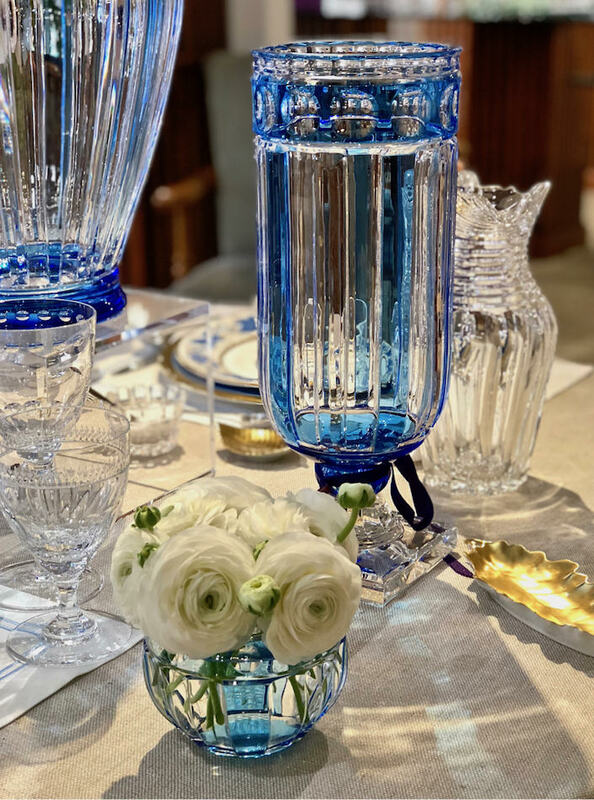 Lastly, it was exciting to see Meissen back with new representation at 41 Madison. 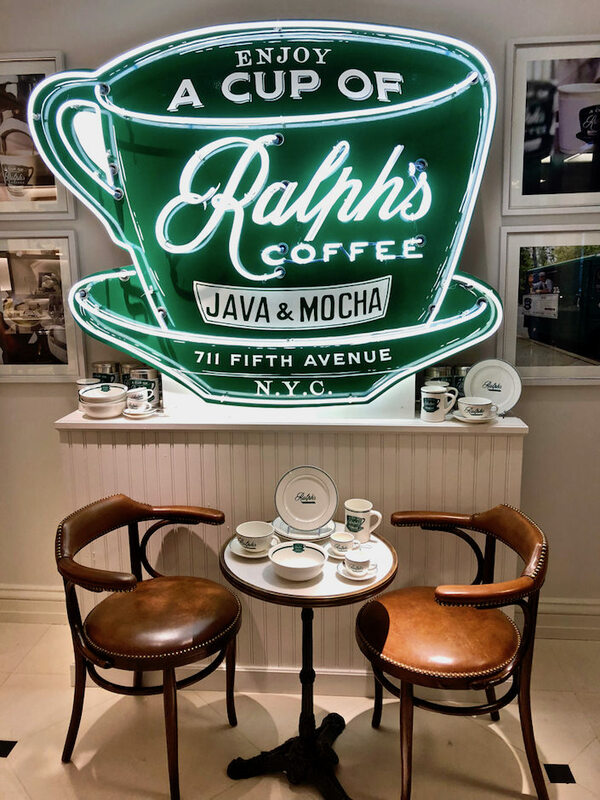 This means that orders through retailers will, for the most part, be faster and more efficient. 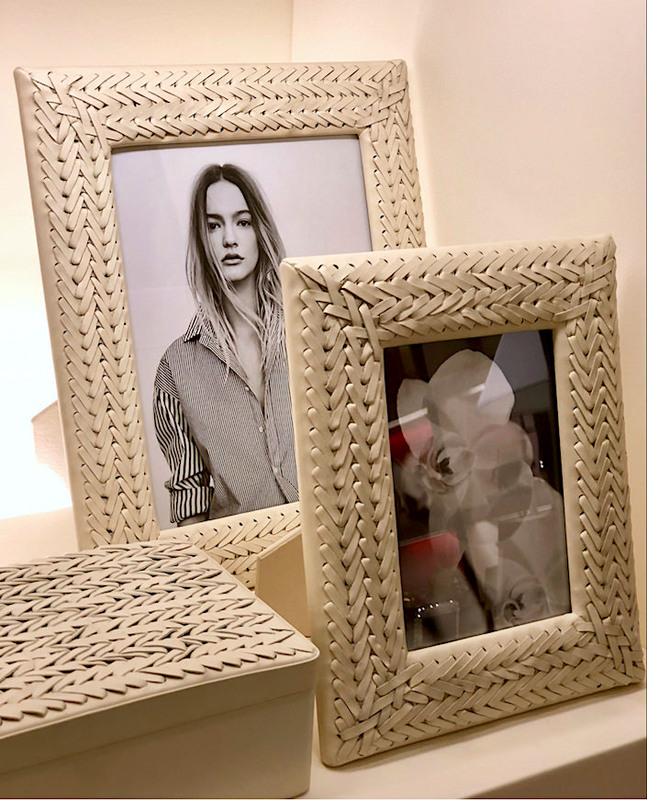 This entry posted in entertainment, gifts, interior design. 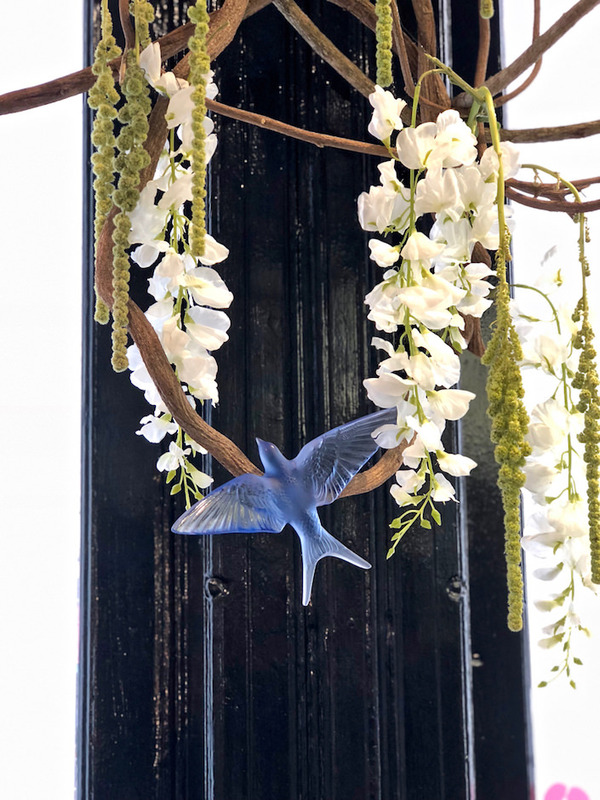 Entry Tags: Entertaining, Gifts, interior design, Tabletop, tabletop market Bookmark the permalink. Great Report of Spring 2018 Table Top !! 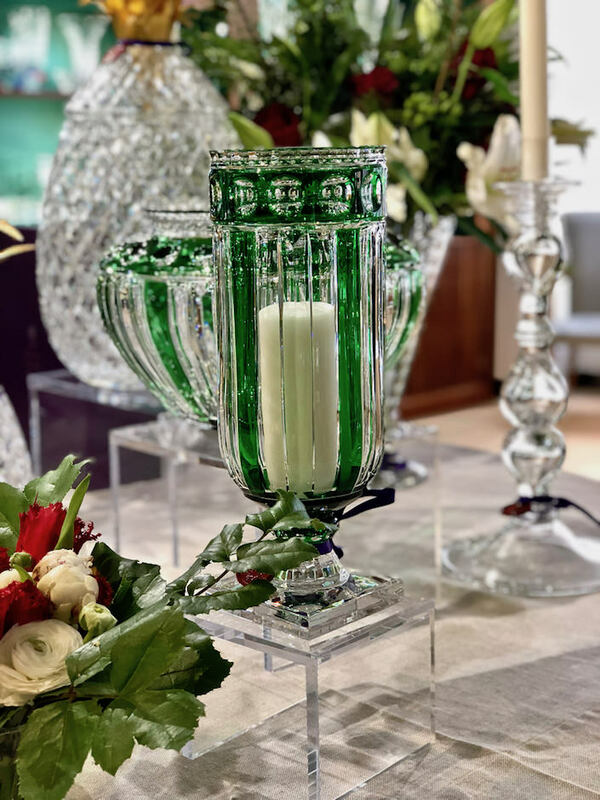 We Love all at: Al Spok & Co. 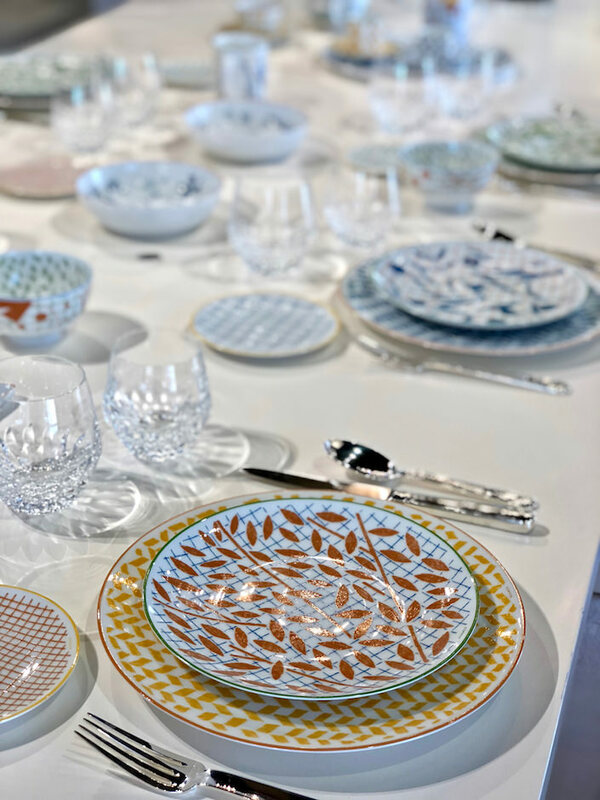 It would have been very hard for me to leave those Canneregio dishes sitting on the table. And I breathe a sigh of relief every time I see Reed and Barton. I nearly cried the day they announced their bankruptcy in 2015. I just wasn’t ready for to come to terms with the end of an era. Great job as always Stacey! 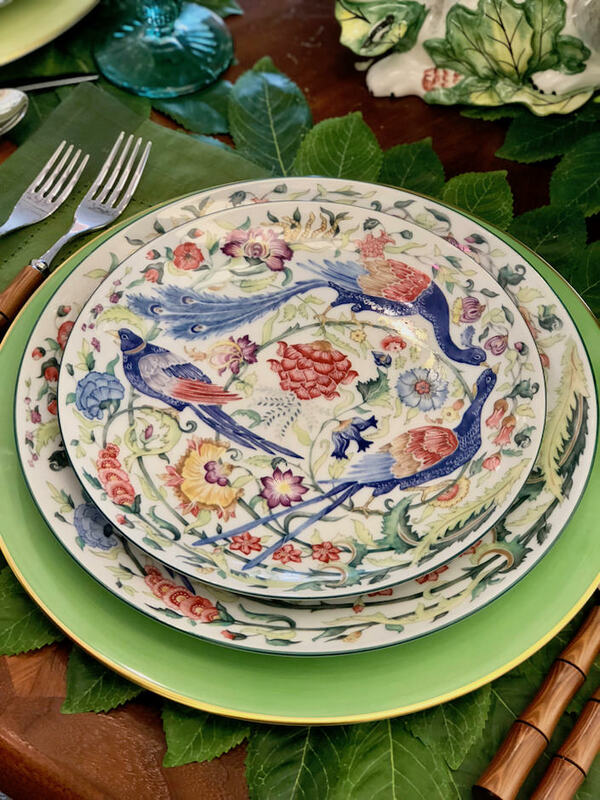 Love all the tabletop. 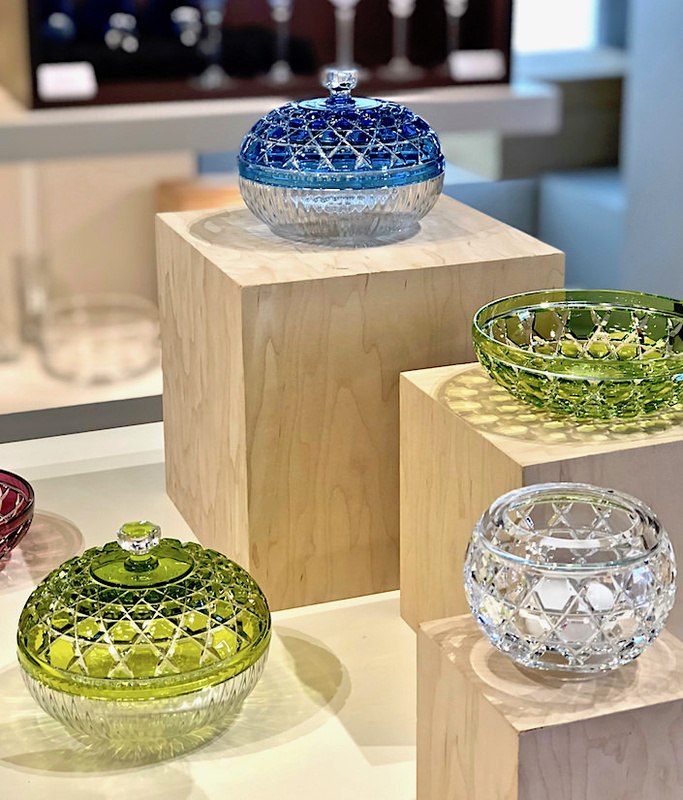 Would like to have some of the footed bowls featured by Thomas O’Brien. Where can I buy them? 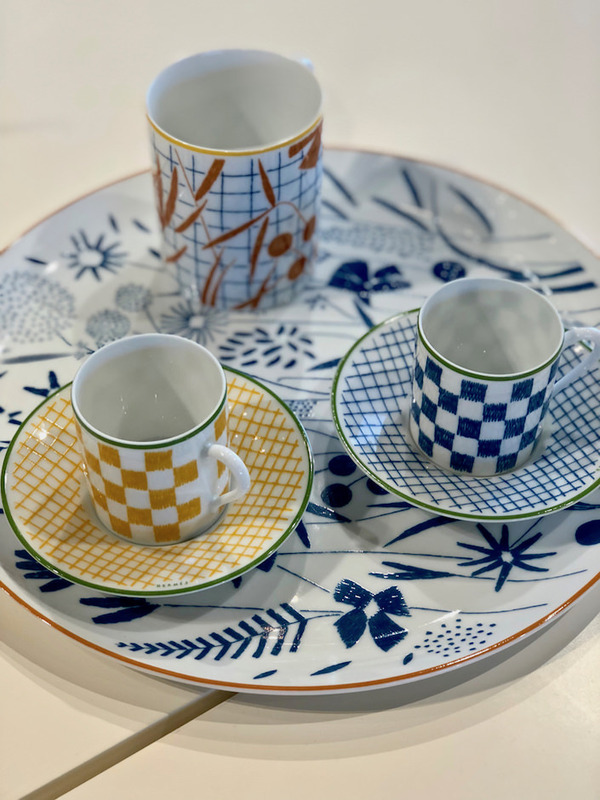 I would have had a hard time leaving those Cannaregio pieces on the table. 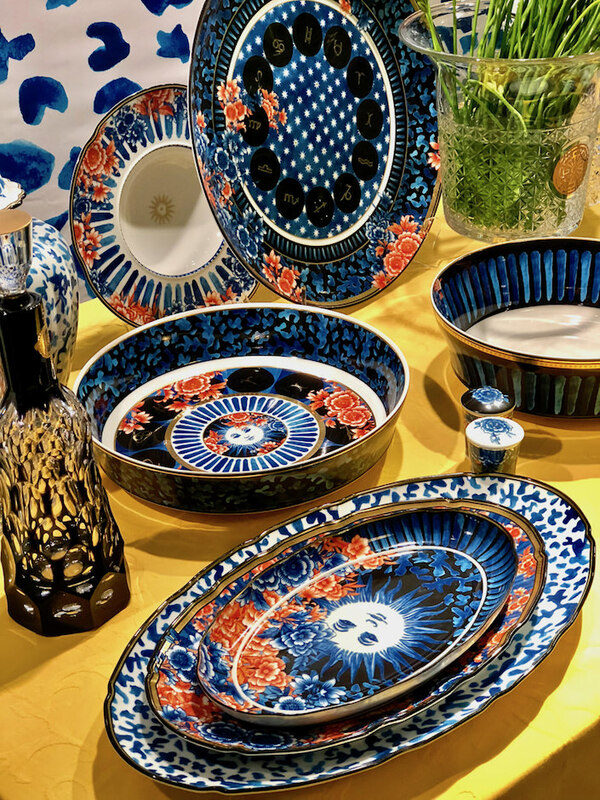 I must have the bowls with zodiac surrounding sun! 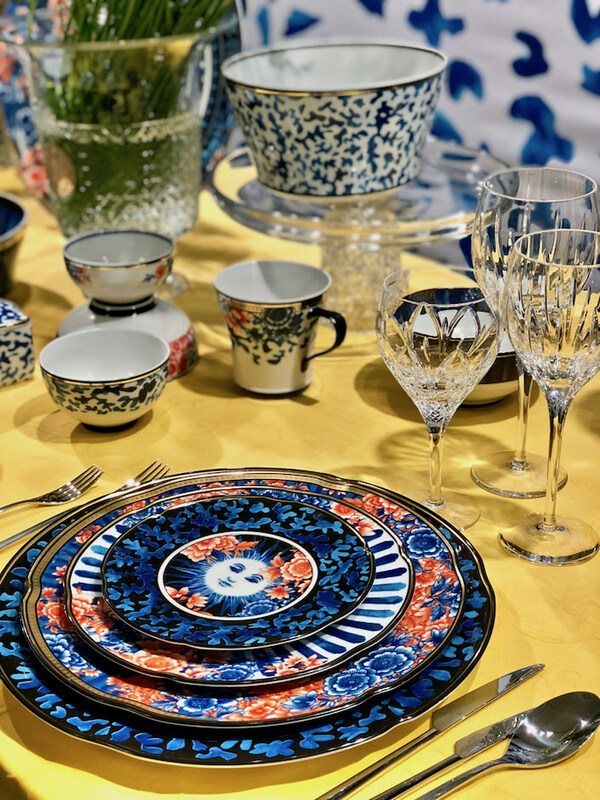 Can you imagine a table with this pattern paired with deep blue night sky petunias and black velvet petunias to echo the astrological references, placed in those black Lalique Bacchantes vases? I feel a midsummer night’s dreamscape a-brewing for my patio. And I think I still have some copper patio lights with cut out stars. 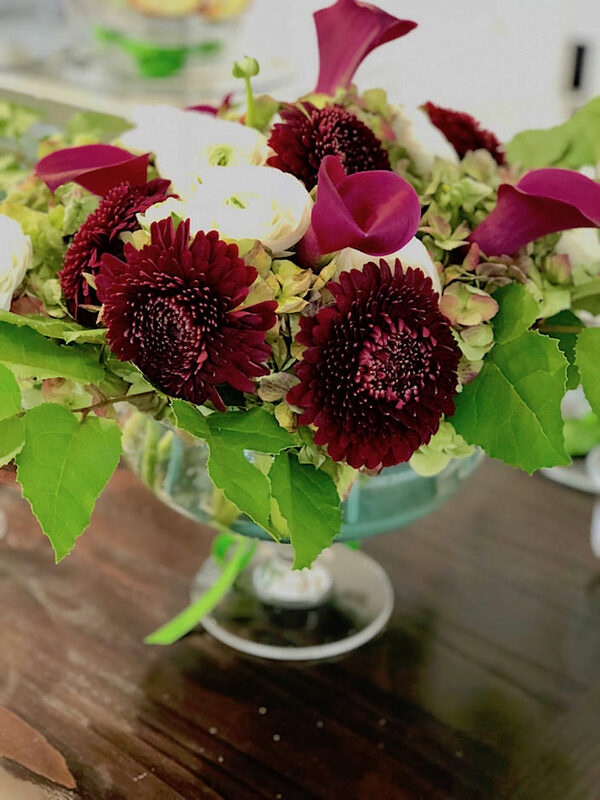 See how inspiring this blog is!!! Seriosly, Stacey you are my absolute favorite blogger of all time! And good to see Reed and Barton included here. You know I nearly cried when I read of their bankruptcy back in February 2015. I wasn’t ready to come to terms with the end of an era.Thankful to Lenox for salvaging one of the great American silver giants. Very sorry for the duplicate comment. I thought my first was deleted. 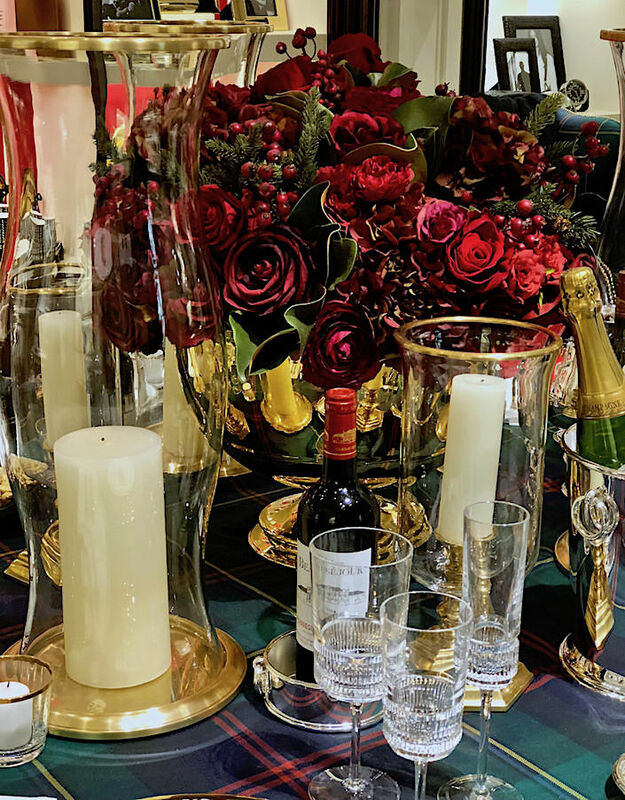 LOVELY LOVELY…………..I need MORE SPACE!!!!!!! tudo maravilhoso!Beleza pura,requinte de encher os olhos ! 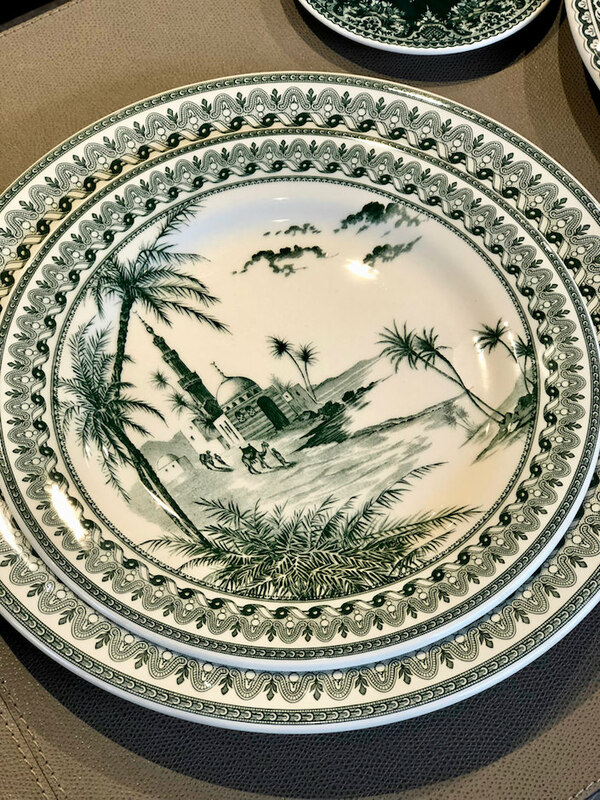 I have been trying to find the pattern Sylvanae ( China with blue birds ) that was mentioned in this post. 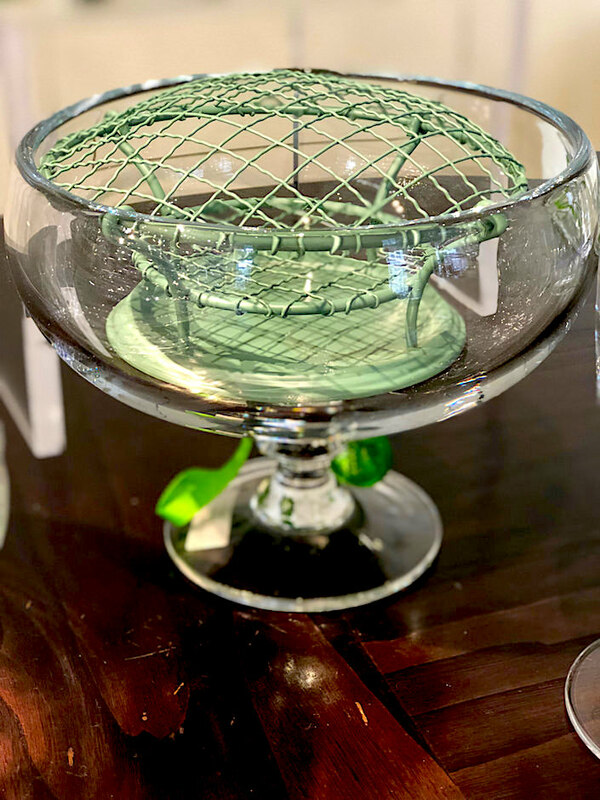 Do you know where I can purchase it. 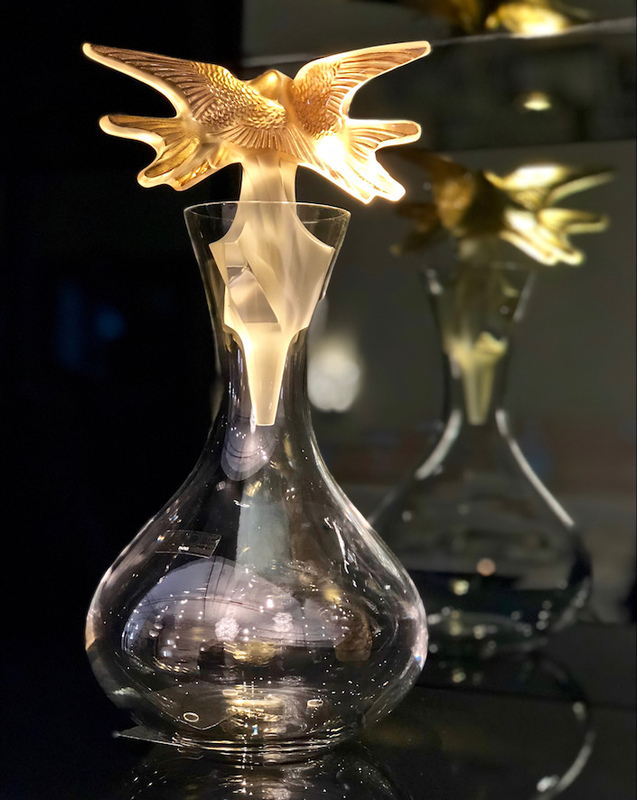 Wonderful article and such beautiful pictures. It is just hitting the Mottahedeh warehouse now. You should be able to order shortly! 82 queries in 0.897 seconds.